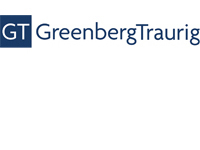 The 2019 International Gaming Summit is made possible by the generous financial support of the below sponsors. If you are interested in learning more about our 2019 Sponsorship opportunities, click here. With over 60 years’ experience and over 2,200 staff globally, Aristocrat has built a reputation as a premium supplier of ground-breaking technologies and services to the international gaming industry. Aristocrat is proud to be known for outstanding product performance in more than 200 jurisdictions around the world. 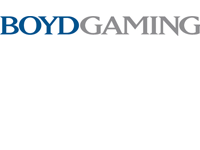 Boyd Gaming Corporation is a diversified owner and operator of 24 gaming entertainment properties and is one of the largest and most established casino operators in the United States. Brownstein Hyatt Farber Schreck is a unique law firm: its culture and enthusiasm allow its attorneys, policy consultants and legal staff to stay ahead of its clients’ needs and provide them with the resources they require to meet their business objectives. 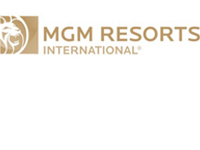 Caesars Entertainment Corporation is the world’s most geographically diversified casino-entertainment company. Since its beginning in Reno, Nevada, more than 77 years ago, Caesars has grown through development of new resorts, expansions and acquisitions, and now operates casinos on three continents. 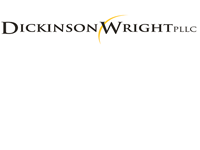 Dickinson Wright PLLC is a general practice business law firm with more than 450 attorneys among more than 50 practice areas. Headquartered in Detroit and founded in 1878, the firm has eighteen offices in Michigan, Ohio, Kentucky, Tennessee, Nevada, Arizona, Washington, D.C., Toronto, Florida and Texas. The Duane Morris Gaming Practice is backed by a law firm with more than 800 lawyers in offices across the United States and internationally, providing innovative solutions to today’s legal and business challenges for clients in all aspects of the gaming and entertainment industries globally. 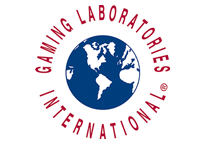 GLI delivers the best quality land-based and iGaming testing and assessment services with supreme accuracy while reducing time to market. With 850 employees in 20 locations on six continents, GLI has more capacity than any other lab. 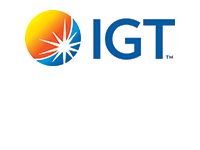 Beyond testing, GLI offers a wide range of professional, field and lottery services. Penn National Gaming owns, operates or has ownership interests in gaming and racing facilities and video gaming terminal operations with a focus on slot machine entertainment. 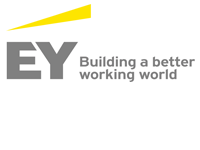 As of October 15, 2018, the company operates 40 facilities in 18 jurisdictions. In aggregate, Penn National Gaming operates approximately 49,400 gaming machines, 1,200 table games and 8,800 hotel rooms. The company also offers social online gaming through its Penn Interactive Ventures division. 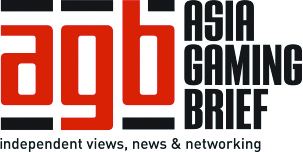 AGB is an intelligence service providing information for global executives on the Asian gaming market. Our daily eBrief features the latest news across 22 jurisdictions in Asia, and weekly intelligence articles for AGB members, while the print publication Asia Gaming Briefings provides essential jurisdiction updates. The Association of Gaming Equipment Manufacturers (AGEM) is a non-profit international trade association representing manufacturers and suppliers of all forms of gaming equipment. Baker Donelson gives clients access to a team of more than 650 attorneys and advisors representing more than 30 practice areas, connected across 19 offices throughout the Southeast, Texas and Washington, D.C. Our clients benefit from our inclusive and team-based culture and innovative service delivery. Balch & Bingham LLP is a corporate law firm specializing in the representation of regulated industries, with more than 250 attorneys and lobbyists in Alabama, Florida, Georgia,Mississippi and Washington, D.C.
Butler Snow is a full-service law firm with more than 300 attorneys representing clients from 17 U.S. offices and offices in London, Hong Kong and Singapore. Casino & Gaming International covers a broad spectrum of specialist subjects and issues with editorial contributions from some of the industry's most well respected individuals. Casino International is a specialized monthly magazine distributed to gaming industry professionals its mission is to bring news, in-depth features, event and product information pertaining to land based and online Casino / Gaming operations. Founded in Atlantic City, New Jersey in 1957 with just two attorneys, Cooper Levenson has grown to a full-service law firm with 70 attorneys and offices in Atlantic City, Las Vegas, Delaware and Florida. Published by UK-based Gaming Publishing, G3 (Global Games and Gaming) is a high-quality, reliable source for gaming news, information and market statistics each month with a global circulation of over 6,000 print and 50,000 electronic subscribers. Harris Hagan is the only City of London law firm dedicated exclusively to the provision of legal services to all sectors of the gambling and leisure industry in the UK and internationally. Jones Walker provides full-spectrum legal counsel to our gaming clients, representing casinos, tribes, manufacturers and suppliers, pari-mutuels, lottery vendors, sweepstakes, investors and lenders. Phelps Dunbar is a regional corporate law firm with 260 attorneys and 10 offices serving clients across the Gulf Coast, nationwide and abroad. Reid, Rubinstein & Bogatz is a Martindale-Hubble® AV Preeminent™ rated law firm handling a wide range of legal issues for a diverse array of clients, with an emphasis on business transactions, gaming licensing and compliance, government affairs and commercial litigation. Rush Street Gaming, through its affiliates, owns and operates market-leading casinos in Philadelphia, Pittsburgh, Des Plaines, Illinois (Chicago area) and Schenectady, NY as well as a real-money internet gaming site in New Jersey. 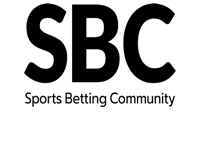 Scientific Games Corporation is a leading developer of technology-based products and services and associated content for worldwide gaming, lottery and interactive markets. Visit ScientificGames.com to learn more. Stone Pigman is a Louisiana law firm that provides regulatory, licensing, corporate, litigation, financing and other legal services to all sectors of the gaming industry.